The Desert Spear – First Draft Completed! Some wonderful, awesome news from Peter V Brett: he has completed the first draft of The Desert Spear, Book 2 in The Demon Trilogy and sequel to the incredible soon-to-be-bestseller The Warded Man! 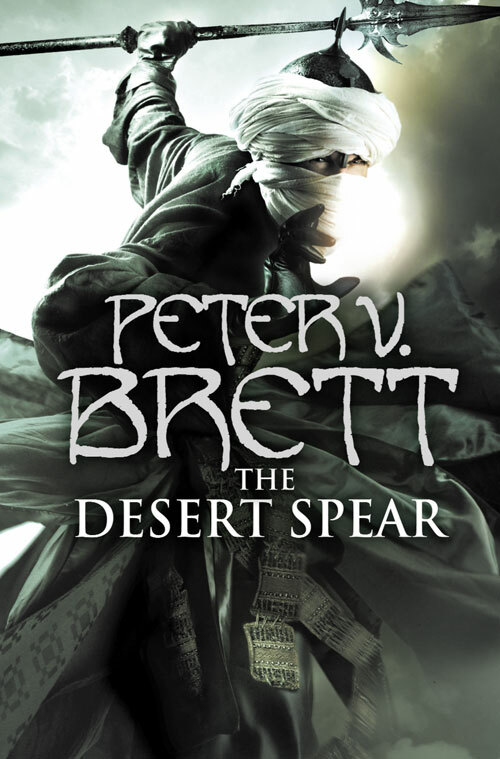 But before you start asking when The Desert Spear will be available, read this honest, heart-felt post from Peat. Guys, this you have to check out! 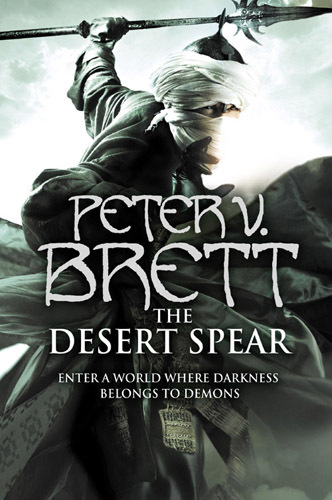 Peter V Brett has posted the official cover (yes, when Book 2 of The Demon Trilogy is published, it’ll have this cover) of the second book in his awesome fantasy series! If you thought Book 1 had a cool cover, wait till you see this! 🙂 Though, yes, I’ll admit it, ol’ Arlen is still the top dawg when it comes to badassness. 🙂 Here’s the link!